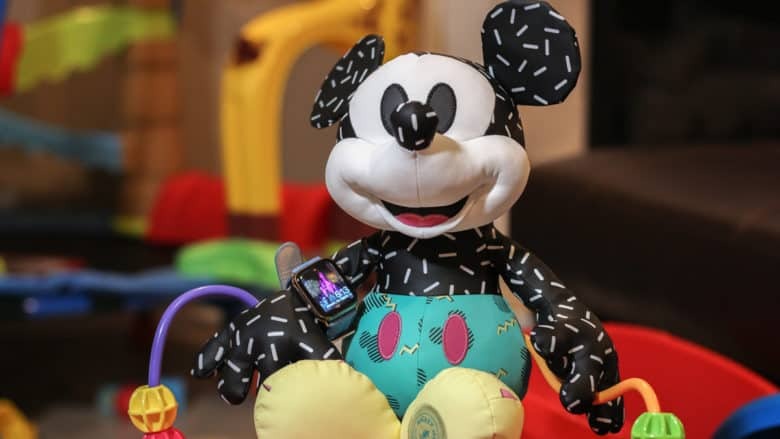 The Apple Watch Series 4 made a vacation to Disney World more convenient. In 2015, I purchased my wife a stainless steel Apple Watch (series 0) for her birthday. Since then, she’s used it to track hundreds of workouts, reply to thousands of texts, and triage countless notifications. She’s also told me nearly every day for the past year that she hates it and it never works right. While that might be a bit of an exaggeration, she has a point. The original Apple Watch is slow and unresponsive. Plus, some features have become frustratingly unreliable (looking at you, Siri). This year, we decided to upgrade her Apple Watch in time for our family vacation to Disney World. It was the perfect opportunity to test Apple’s magical wrist communicator at the most magical place on Earth. After picking up her watch at Apple’s CoolSprings Galleria store just outside Nashville, we headed out to the car and the unboxing experience began. She talked through the process while I navigated us to our hotel. Upon opening the box, she immediately noticed the fabric protector on the new Watch. “I really enjoy this suede sleeve,” she said. 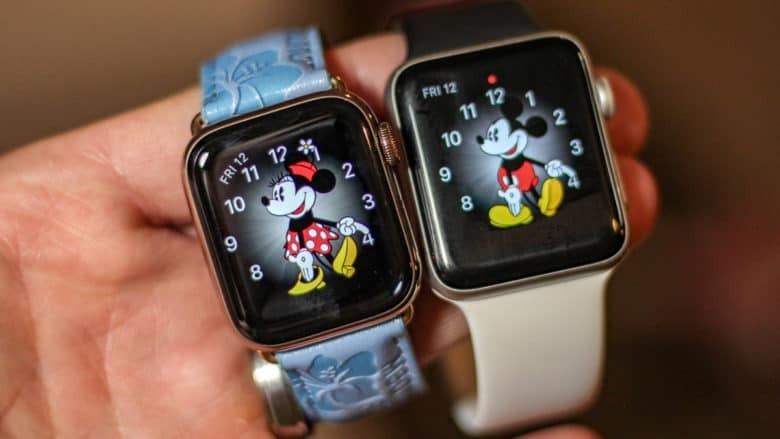 “It’s a classy touch for a tech product.” After removing the watch from its holster, and connecting her Disney-themed Apple Watch band, she immediately fell in love with the deep, warm, glossy finish. Needless to say, she was pleased with her decision. After getting her watch paired to her phone, she activated the cellular feature. In her mind, having a watch that could be used as a phone and iMessage device, regardless of where she left her iPhone, was going to be incredibly freeing on our vacation. Before putting the watch through its real-world paces, I spent some time tinkering with it. First, I did a comparison between my 42mm Series 3 and her 40mm Series 4. I was surprised at how similarly sized the cases seemed on my wrist. 40mm might be the best all-around size for most people, although I’m still curious to try out a 44mm. The 40mm Series 4 Apple Watch compared to the 42mm Series 3. After my very unscientific size comparisons, I switched to the new Infograph face and started picking complications. I’m not sure who this face is for, but it seems like overkill to me. Having places to put a few complications is great. However, until more apps offer useful or valuable information on this face, it seems like something that only works well in marketing images. I also set up the new Walkie-Talkie feature, thinking it could prove useful while we roamed the theme park (more on that later). After spending some time curating her watch faces collection (most of which used the photo face), we were ready to go full swing into our vacation and put Apple Watch Series 4 to the test. We packed a backpack of essentials (things for our toddler, a camera, water bottles and her phone), and headed to Epcot to enjoy a low-key evening wandering around World Showcase. Not long after arriving, we separated while I waited in line for food (OK, fine. Margaritas). She walked ahead with the stroller and, a few minutes later, she called to let me know where they were. It didn’t even click until later that she called me from her watch, using Siri, without her phone in range. No complaints, no frustration. This same situation played out over and over again through the next few days. Sometimes her phone was with her, other times it was with me. But as we explored the various parks, she counted on her new Apple Watch to communicate with me. The most obvious benefit of the new watch that she saw throughout the trip was battery life (especially compared to her original watch). Nearly every day, she could count on more than 50 percent left when we made it back to our hotel. This may not seem incredibly surprising to someone with a Series 2 or Series 3 watch. But when you factor in making and receiving 10 or more phone calls every day from the watch (between cellular and Bluetooth), plus the general toll a busy theme park will take on connected devices, this seems excellent. My Series 3 (without a cellular plan) ended each day around 40 percent, and I wasn’t making or receiving calls with my watch the entire trip. As our vacation came to an end and we embarked on our 17-hour drive home, we discuss her impressions of the new Apple Watch. One of her first observations was that Siri proved far more reliable than on her Series 0. With only a few exceptions (mostly being at the edge of Bluetooth range in a location without cell signal), she never experienced the annoying “hang on” message that frequently plagues Apple Watch users attempting to leverage Apple’s smart assistant. 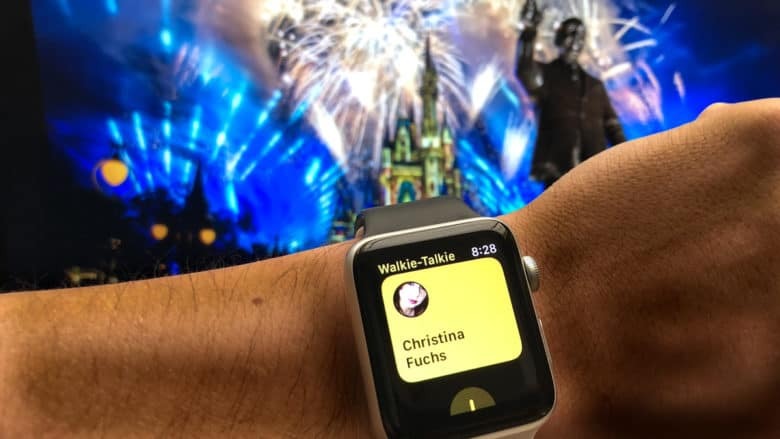 Using Walkie-Talkie was the lone “bad” experience of the Apple Watch at Disney World. We also discussed the frustrations we encountered with the highly anticipated Walkie-Talkie app. On our second day, we tried to use Apple’s new quick voice chat app to communicate with one another. We ran into problems with the app trying to “connect” with the other person, even with both of us looking at the app at the same time. It was frustrating enough that after three or four attempts, we completely abandoned the idea and stuck to phone calls and texts. Even the magic of Magic Kingdom couldn’t allow us to go fully into the promises of Tomorrowland. While the Walkie-Talkie app failures weren’t hardware-specific, they colored our overall impression of Apple Watch Series 4. Few things feel more frustrating than a brand-new device that doesn’t work right. Hopefully Apple will address the inconsistencies in a future update (or put the feature out to pasture with Digital Touch). Is Apple Watch Series 4 worth it? Overall, the frustration with the Walkie-Talkie app wasn’t enough to dissuade my wife from loving her new Series 4 Apple Watch. Was it an essential product for enabling us to have a great vacation? No. But it made one small element of our vacation a little easier, and that alone was worth it. Apple Watch Series 4 finally delivers on the promises Cupertino started making in 2015. It’s a worthy upgrade for anyone using older Apple Watches. And it’s a great starting point for anyone who held off through the first few generations.